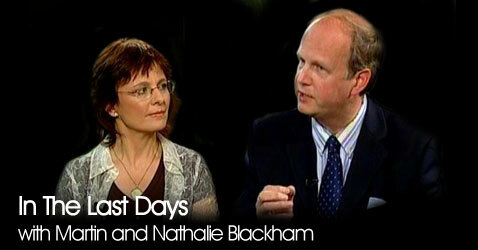 Martin and Nathalie Blackham's Ministry is engaged in bringing the End Time Prophetic Word of God to as many people as possible, as quickly as possible. Their vision is that the Body of Christ may understand the urgency of the Prophetic Hour that we are living in, ie. the End Times, that Believers may be awake and alert to the signs in the Earth, the outworking of Matthew 24 and 25, that Christians comprehend the Importance of Israel, God's Prophetic Time Clock in the End Times and have an Hebraic Understanding of the Bible.